Eeks!! September has just flown by and I'm still shocked that we're so far into this year. It seems like 2012 only started. I'm so glad Fall is finally here even with the warmer than usual weather we've been experiencing on the West Coast. I guess I shouldn't complain right? 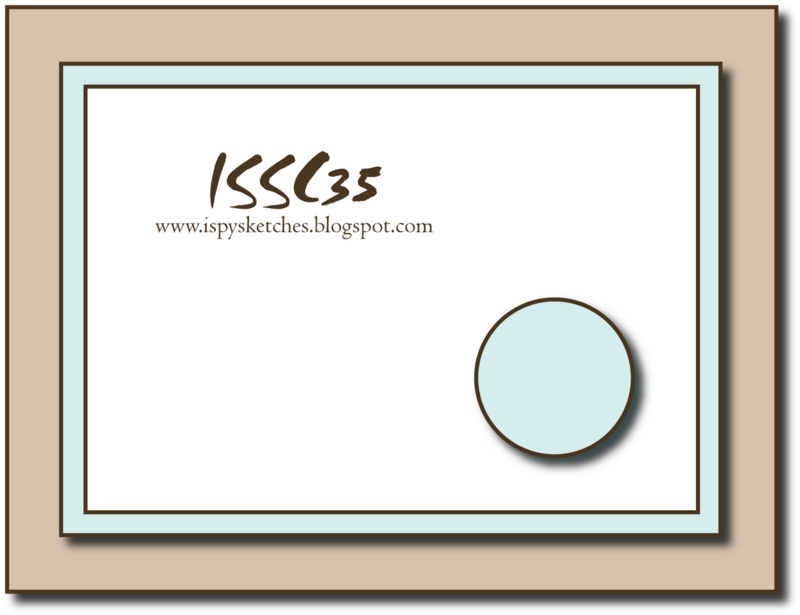 This week's iSpy sketch features Audrie Magno-Gordon (girlgeek101 @ SCS) and our sketch is based on this card. 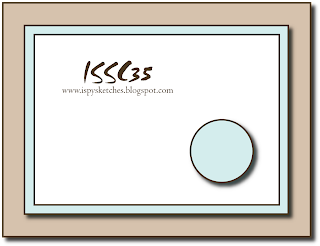 I love the simplicity of this sketch so I went out of my norm and went for a clean and simple card and I love how it turned out. 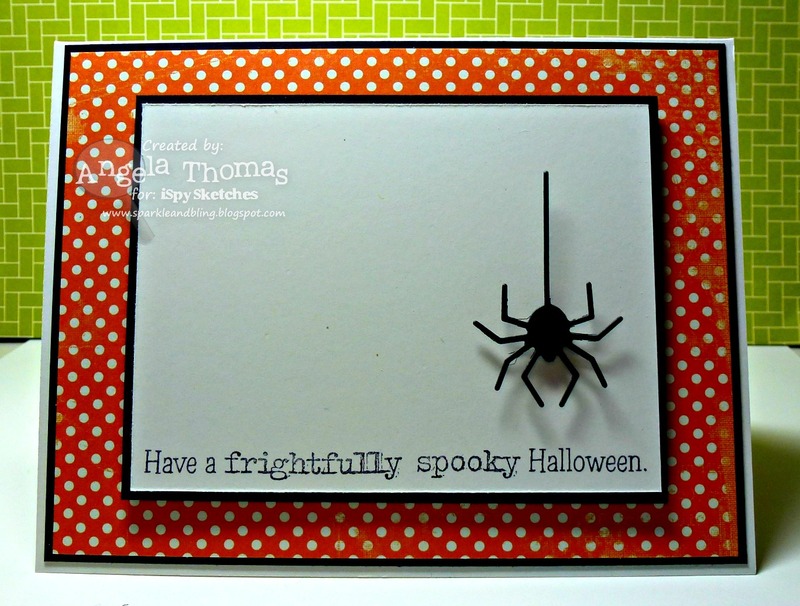 For my card, I've used the TSG set called "Bugs and Hisses" for the sentiment. I also used a Memory Box Die for the spider. Easy peasy right? 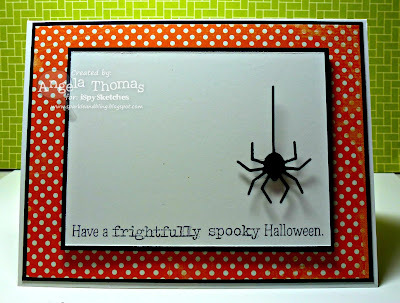 Love the clean and simple look of this card Angela, the creepy spider is fabulous. Your card is too fun - perfect take on the sketch. Love the layering, thats what "makes it"